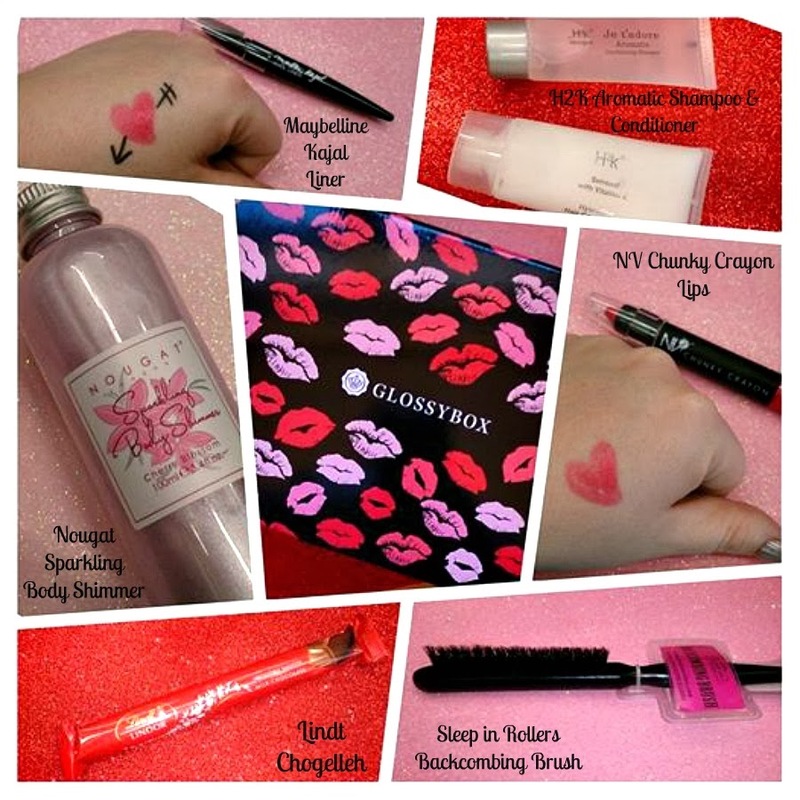 CherrySue, Doin' the Do: Valentine's GlossyBox - Contents Revealed! 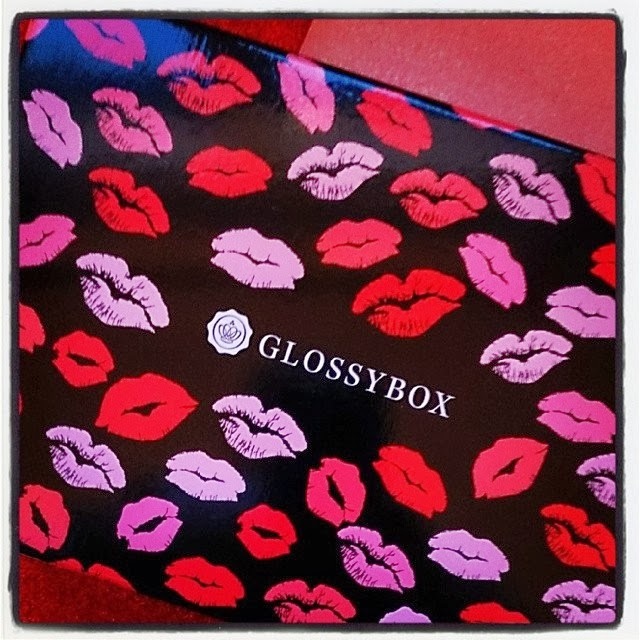 It's been long awaited but, in the hopes that everyone has now received their Valentine's Glossybox, it's high time we take a peek inside. In the month of Amour that is February, it's common knowledge that the brand make an extra effort with their box contents and having seen several other happy recipients' posts it would seem that contents are more varied than ever this time 'round. Maybelline's Master Kajal Liner (Full Size) I'm a sucker for a good Kajal so was thrilled to see this pop up in this month's box. You can see from the image above the precision you can achieve but the lengthened tip makes these a fool proof water line liner too. H2K Aromatic Shampoo & Hydrating Conditioner (Original Size) Because I'm still in the throes of a full on Fibrology love affair, these were gifted to the Eldest Gorgebag to sample. He's pretty impressed, not only that but I stopped him as we passed on the stairs to sniff his grúaig - that's new. NV Chunky Crayon Lips : Watermelon (Full Size) Though too pink for my tastes this bright and creamy lip crayon has already found a happy home with the youngest's girlfriend. Safe for use on eyes, lips and body, I genuinely don't wanna know how she's choosing to use it. Sleep in Rollers BackCombing Brush (Full Size) Do we remember how I got on with Sleep Rollers? It wasn't pretty. This backcombing brush on the other hand has found it's nice with me. The stiff bristles and tapered end work brilliantly to separate and backcomb my bouffant with ease. This and Charles Worthington Volume & Bounce are a match made in Dynasty heaven. Love it. Lindt Chocolate: (Full Size)(Not for Long) I love that Glossybox included a little Lindt treat, so do the three gals in my office as we swayed heads and slurped tea in unison as we ate. This red feller will be a regular 'round my place, mark my words. Nougat Sparkling Body Shimmer: Cherry Blossom (Half Size) I'm not a huge advocate for bodily sparkle unless there's sunshine, so this inclusion during the Winter months confuddled me a little. Until I opened the bottle and took just one sniff. Beautifully scented and surprisingly subtle on the skin (ie little or no sparkle) Nougat are on to a winner with this one. Mallow, Vitamin E and Wheatgerm Oil with Mica for sparkle mean this candy pink shimmer is as good for your skin as it is for your schnozz. Gorgeous. And that's it, my entire Valentine's Glossybox. The Glossy mag that accompanies the box is going from strength to strength with Industry Insider interviews, full on features and treatment reviews, a lovely way to while away 10 mins with a cup of cha and a bar of Lindt funnily enough. I mentioned in my Valentine's Gift Guide for Her that a Glossybox subscription would make an ideal pressie and this month's offering has further affirmed that for me, especially with Momma's Day coming up. For as little as £8.33 (€10.11) per month you or a lucky duck you know could be on the receiving end of summat a little bit special. You'll find all the info on this month's box and details for subscriptions here on site. Tootle on over for a gander why don't you? I'd love to know if you have received your Valentine's box and what products were inside. I'm nosey like that. If you're not a subscriber would this month's box change your mind? I had no idea the products vary from person to person, I thought everyone got the same box each month! The body shimmer sounds yum.